She was right then, and she is still right now. A recent nationwide survey by Listening to Mothers found that doula use is on the rise. 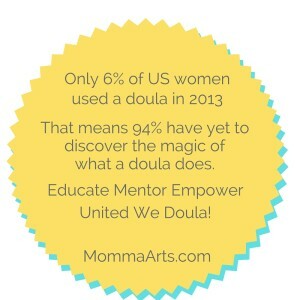 Three percent of women used a doula in 2006. In 2013 the number had risen to six percent. While the increase is great news, it means there are still a whole heck of a lot of women out there who don’t use doulas, and most likely it is because they don’t really know about them. Ilana sought to change all that. She welcomed doulas of any age, stage and training to MDG meetings. We can be different, but really, we are the same was how every meeting felt. We all want mothers and babies to be loved, nurtured and safe guarded through the transition of childbirth. And to do that we need each other as friends and colleagues. We need to support each other as we head out and inform the public. I miss her deeply lately. Ilana was my friend and mentor. She was also my doula. She was by my side in 1999 for my VBAC. Just seconds after I pushed my son out with pure adrenaline fueled joy, she leans in and whispers to me, “now will you join me as a doula?” Seriously! I’d barely gotten my new infant up on my breast, and she’s asking me to doula with her. I said yes of course. Ilana wanted more doulas out there. But she also knew that you can’t send an army out unprepared. Which is why MDG was so popular. For so many of us those monthly meetings brought a much needed bond of togetherness. It gave us room to grow, learn, and process. We shared stories of the 48 hour primip births, births with doctors who didn’t like doulas, births with amazing doctors or midwives who welcomed our care, births in the sadness of loss, births that were intense, joyous, challenging. We shared it all, tears, triumphs, ideas, concerns. We were mentors to each other. 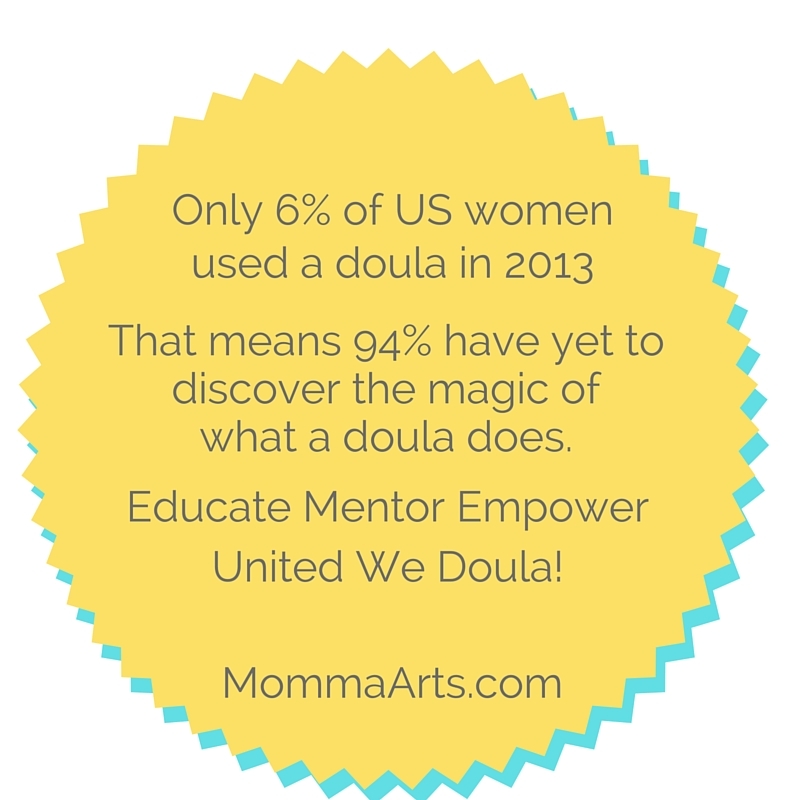 The doula world has grown. MDG, the once small local community, has grown to the point where literally thousands of women have passed through it at some point in their doula career. Where there used to be just two or three doula training and certification bodies, there are now well over 40 reputable organizations nationally. Each of them offering training with wonderful intention and education potential. Each of them inspiring and motivating new doulas every month to head out into their communities to make birth and postpartum better. Before she died Ilana wanted to write a book about mentorship called Sitting At Her Feet. She never got the opportunity. I had the honor to be handed a folder just before her death with some of her scribbles and ideas about this book. I’ve thought about it often through the years, about passing the baton of wisdom down to newer women, knowing that at its essence doula work is very simply women supporting women. Ilana recognized that it is one thing to train doulas over a weekend workshop. But it’s a whole other thing to take them under your wing and nurture them. When Kim and I started MommaArts we knew mentorship would be part of our responsibility. Just last week Kim and I both got a text notification at 10:23pm. It was one of our mentees who was at a birth. She wrote, “I’m wondering if either of you is available to talk me through something? I know it’s kinda late and a weeknight and all but I could seriously use some guidance right now.” What do you think Kim and I did? Yup! Kim got on the phone with her, and walked her through her concerns and helped guide her towards confidence. I could not have been more proud of what this moment was. This is what doula work is. Not just nurturing mothers and babies, but building a larger network of women who know and believe in the power of compassionate, normal, healthy birth, and are willing to work together to make that happen. We’ve sat at the feet of many wise birth workers, Kim and I. From Ina May to Elizabeth Davis, to Marsden Wagner to Henci Goer, and of course all our local champions of normal birth who are our colleagues and friends. It’s been a privilege to work with them, and to pay it forward now. We’re excited to see our MommaArts mentorship program growing so that we can continue to create a strong and thriving culture of Sitting At Her Feet. Hopefully some day I will write that book Ilana had dreams about. Until then though my promise to her is to continue to mentor and create community. We hope you’ll join us.